High quality 4 color printing on 100lb gloss book include bindery for more page count please call for estimate. 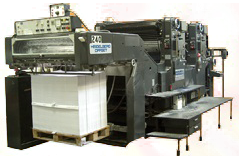 Printing industry has introduced thousands of products for its customers. 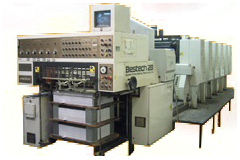 It offers products like sticker printing, brochure printing, catalogue printing and lots of others. Most of the products offered by this industry, use for the marketing purpose. Companies use different marketing tools for the publicity of their product or to convey their massage to their clients in order to enhance their business. In the new era of marketing, a printing product called "Booklet Printing" is gaining popularity among the businesses of being a wonderful tool for attracting customers. But what is a "Booklet"? Most of the persons may not know about it so for them it is a small envelope type book consisting of few sheets (normally less than 48). It comes in different sizes but the most popular size is 8.5 x 11. The main reason of its popularity is its size. Today people don't want to take pain in carrying large stuff with them. Due to the small size of booklet, it is a good carrying buddy and can easily fit in the pocket. Moreover it is very cute and different in its shape that appeal different persons specially girls and teens. So it can also be used in promoting the items relating to them. But if you look it from the business point of view it may be more effective. This unique item can contain the detailed information of the business and the product as well. Now you can use this attractive marketing tool to attract your customers. Easily explain your customer about your business and the product you are offering.